Nature is continually revealing the character and nature of God. Every tree, every stream, every animal on the face of the planet bears witness to the glory and majesty of the Triune God. There is simply no excuse. Nature proves not only that God exists, but that He is kind and gracious to all that He has made. 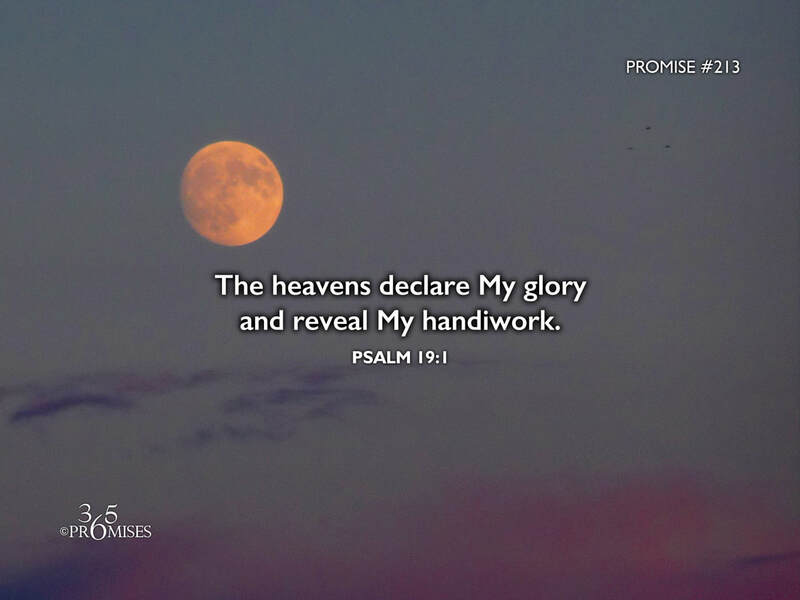 Today's promise simply states that the heavens declare His glory and the skies show off His handiwork. My prayer for all of us today is that there will be a heightened awareness to the eternal power of God that is clearly displayed in the world around us. The next time you look at a sunrise or sunset, may the love of God overwhelm you and may you see His glory revealed through all that He has created.